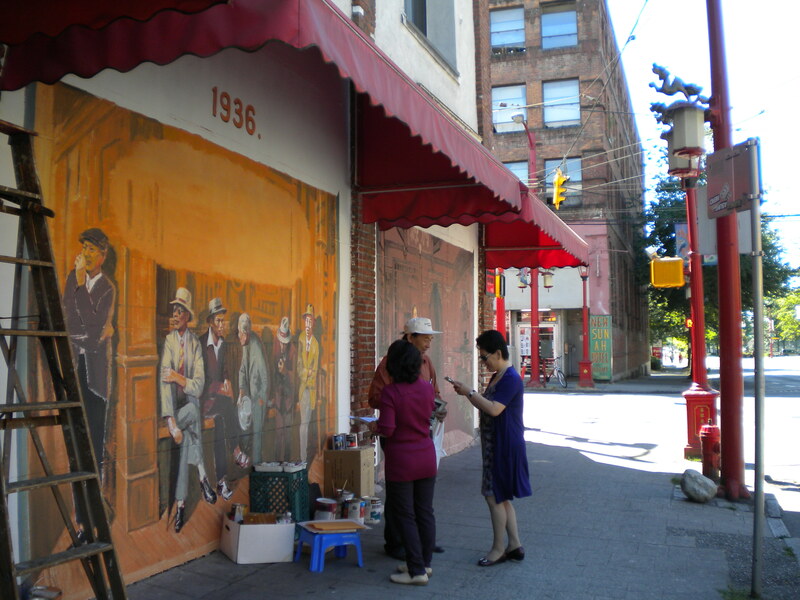 I was really happy to see this mural being made, it’s part of the recovery of Vancouver’s historic Chinatown. This has always been an interesting area, with fascinating architecture as well as a plethora of noodle houses and so forth. But it’s also such an important part of the city’s history, in a way it’s a big key to its development, and that of the province as a whole. From the early 90s on the neighbourhood started to decline; by 2002, which was the last time i had visited, it was wan and depressing, with little going on, and much of it boarded up. In summer 2010 I saw a lot of activity here as well as a renewed vigor in the downtown-eastside neighbourhood as a whole, including the resurgent punk music venues and local flea market. This is what makes a city, not just putting in chain stores. Even the coffee houses were Waves, not you-know-who. 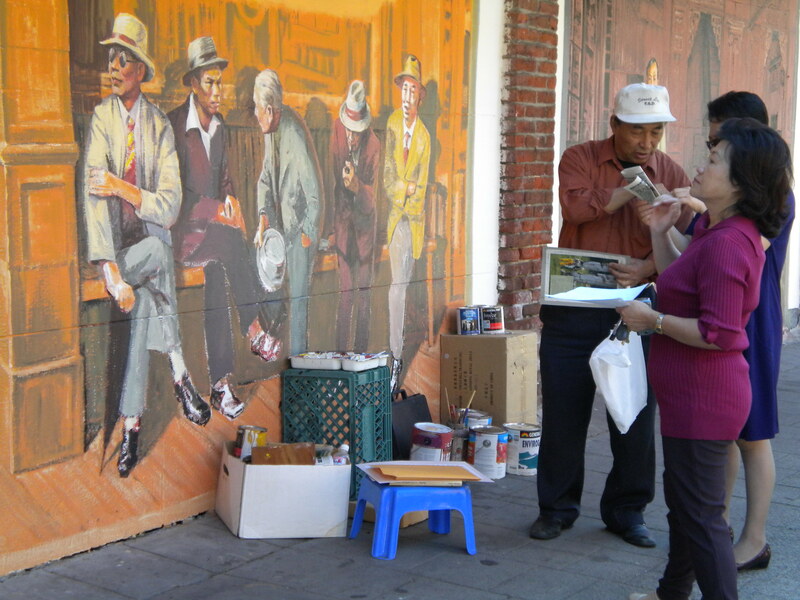 I love the fact that this mural is a painting of a real historic photo of Vancouver’s Chinatown back at the turn of the 19th C. It makes a real change from the whales and other fishy things that always seem to get picked to decorate the fair city’s spare wall space.